Teachers and students logging in with their My BrainPOP educator or student accounts can access Make-a-Movie on every BrainPOP topic. 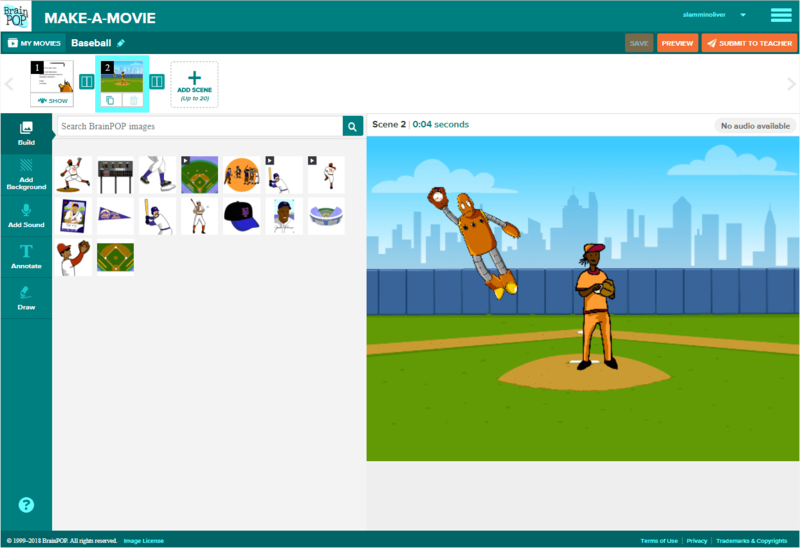 With Make-a-Movie, you can make your own BrainPOP-style movies, building scenes with images from BrainPOP’s library, or creating your own drawings. Students can record narration, manipulate backgrounds, and add transitions between scenes. Make-a-Movie cultivates planning, organizing, writing, collaborating, and analyzing skills. Students take ownership of their learning as they engage with curricular content on a deeper level and demonstrate their comprehension of a BrainPOP topic. 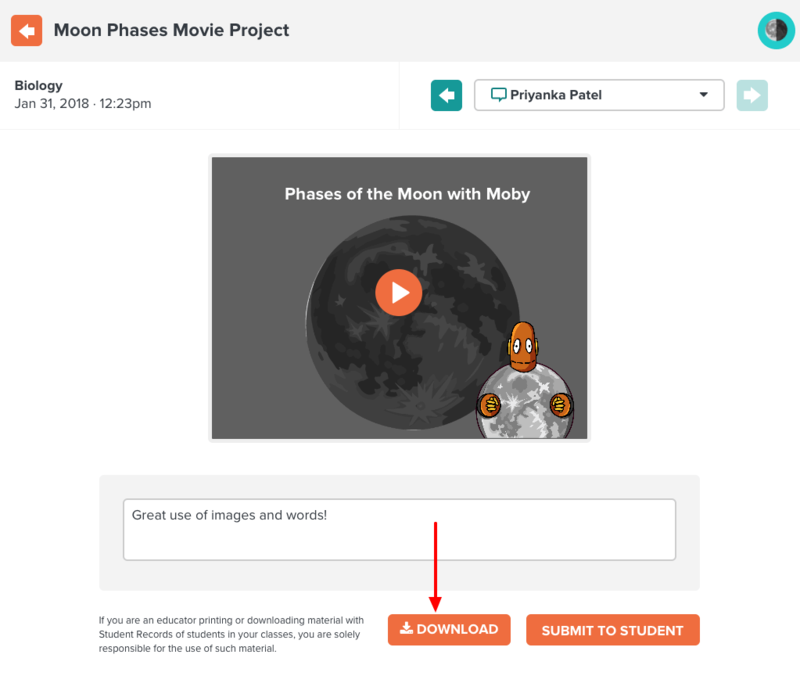 Students can submit completed movies to you for evaluation in My BrainPOP. 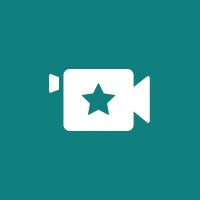 You can also download student movies in My Classes. Can students save movies and return to them later? Yes. Students can save their movies at any time, and return to edit them from their student timeline. However, once a student submits a movie, they can no longer edit it. How can I download a student’s movie onto my computer? Log into your My BrainPOP educator account. Select the class from the dropdown and toggle to Timeline view. Click the speech bubble icon next to the movie project. Click Download at the bottom of the screen. A new tab will open to process the movie, and the movie will begin to download. Can I download a movie I made in my My BrainPOP educator account? No. You can only download movies your students have submitted to you. Why can’t I access Make-a-Movie? To access Make-a-Movie, you need to log in with a My BrainPOP account. School and Homeschool subscribers are eligible for My BrainPOP, but Family and Classroom subscribers do not have access to My BrainPOP or Make-a-Movie. Can I access Make-a-Movie on my iPad? Yes, you can access Make-a-Movie through your device's mobile browser. Can I access Make-a-Movie on my phone? Make-a-Movie is not available on phones. You can access Make-a-Movie on a desktop or tablet.